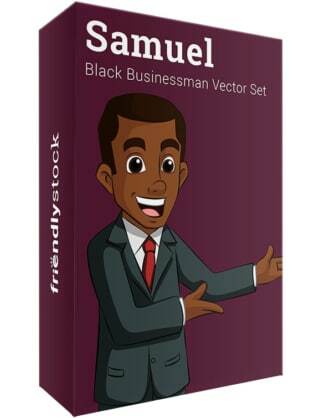 Royalty-free vector illustration of a black businessman searching for money in his empty wallet. It’s been empty for so long that an insect is flying out of it. Is it time to start his own business? 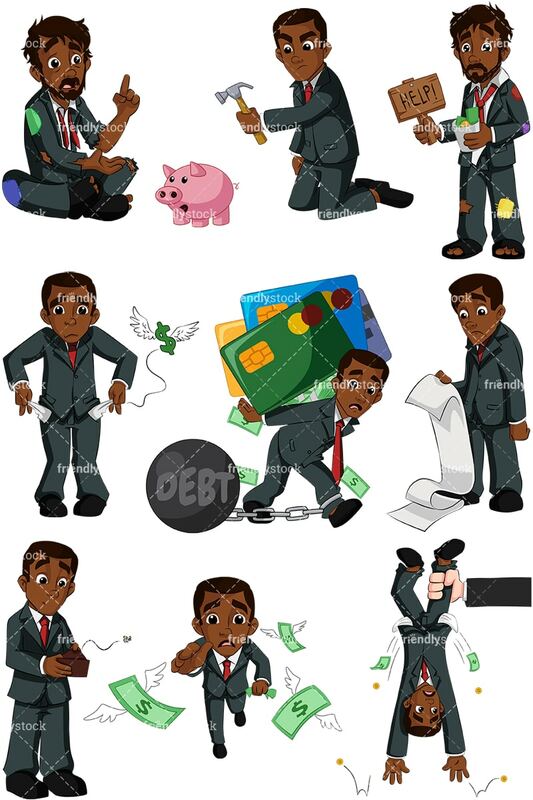 Royalty-free vector illustration of a black businessman emptying his pockets, hoping to find some coins as a dollar sign flies away in the background. 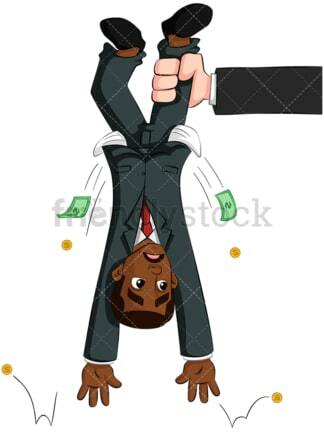 Royalty-free vector illustration of a black businessman being shaken upside down for his money by a strong arm. Cash and coins are falling from his pockets. What a nightmare! Royalty-free vector illustration of a failed black businessman dressed as a hobo, sitting on the ground. His suit has patches and there are holes in his clothes and shoes. He’s holding up his finger and speaking to someone. Is he still negotiating? Royalty-free vector illustration of a destitute black businessman begging for help with a sign and cup. He’s a terrible mess and still wearing his old business suit, which now shows holes and patches. Will he find help? 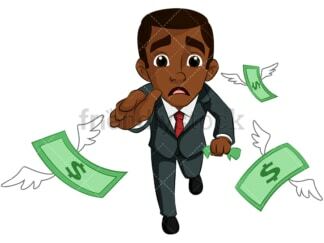 Royalty-free vector illustration of a black businessman pursuing money as it flies away from him. He’s got a desperate look because he can’t catch up. Go Go Go! Royalty-free vector illustration of a depressed black businessman looking over a long report. The paperwork is falling to the ground and he has a worried look on his face. How bad is it? 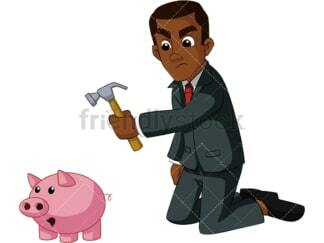 A Black Businessman Holding A Hammer Above His Piggy Bank. Royalty-free vector illustration of a black businessman holding a hammer above his piggy bank. He looks determined to crack it open! 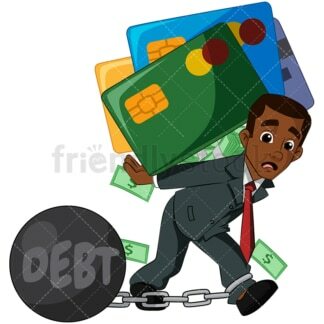 Royalty-free vector illustration of a black businessman trying to walk while hunched over from carrying a heavy load of debt on his back. He is tied to the credit cards and can barely move.